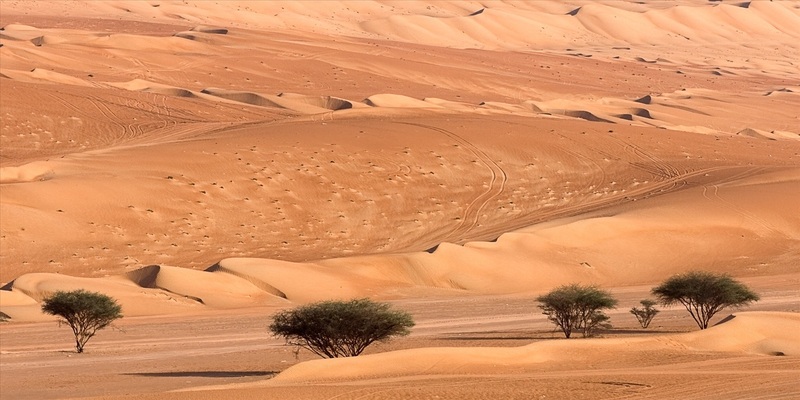 The landscape of digital advertising resembles the Arabian desert. A vast landscape littered with digital tumbleweeds doomed to spend eternity alone without any interaction or engagement. Promising mirages that turn out to be nothing more than promises, wishful thinking and imaginations of grandeur. There is the occasional rain and blooming flora, the promise of a new technology or platform, new ways to engage with people. That rain is wasted quickly by advertisers until no life is left. Just ask the pure banner ad. Covered by sand, in safe distance to the QR code. There are oases, a creative reprieve from the surrounding wasteland. Campaigns that combine insights, understanding of the digital mindset and innovative creativity. It’s hard to see those little miracles when you fly over terrain filed with digital drivel. This sad landscape was created because marketers forgot to ask one question: Would I do it? Would I consider this product after seeing this ad? Would I really fill my Twitter feed with commercial hashtags? Would I share this content with my friends? Would I really believe this drink makes me happy until the end of time? Would I really do what we ask people to do? We forget how mornings are filled with busy stuff, how the commute drains us, how work overtakes everything, how we really don’t pay attention to marketing, how we value our time with family and friends, how much we hate retargeting, how much we can’t stand waiting through pre-roll to get to our content. We start to believe that people will do the weirdest things, actions we would never take. And the biggest sin: We fall for the myth that people care about brands. That people want conversations, collaborations with brands, an authentic brand. Zara is not successful because the brand is authentic. They offer cool, cheap fashion. People want deals, not conversations. We want to make it easy on us by creating segments, hoping to find similarities between people who are different. We believe it’s only about earned media and push TV to the side. Layers upon layers of self-delusion and industry-bubble myths. In the race for respect within the industry,we show complete disrespect for people. And ourselves outside of the advertising world. Great questions indeed. And they are actually questions that I do ask myself on a daily basis in my job as a direct response marketer. Because if no one clicks on that obnoxious retargeting banner, then I am out of that job. But then again, even as a jaded marketer, it is hard sometimes not to fall for the shiny objects and think “what a clever/beautiful campaign!” and fail to recognize the product of an agency’s or advertiser’s much inflated ego. In fact, I think the problem is that all advertising has always had aspirational component, especially in this country. Think of the housewives of the Mad Men era “liberated” by the food industry, and compare them to today’s über-achieving socially-connected moms: everyone wants to appear more successful than their neighbors. So because advertising is aspirational, what people really want does not matter anymore, it’s what the advertiser and the agency dream up that does.